Woolworths and MyPlanet have teamed up to raise awareness and funds to help save three threatened species. With the launch of the ‘Every Paw Print Counts’ campaign, every time you buy a packet of sweets, a bracelet or a shopping bag with the message “Every Paw Print Counts”, a portion of what you pay goes towards helping one of two MyPlanet beneficiaries, the Endangered Wildlife Trust and the Wildlife ACT Fund, for the conservation of the cheetah, rhino and African wild dog. Woolworths has long been concerned about protecting our environment and wildlife. Now, with the ‘Every Paw Print Counts’ campaign you can help us give back even more. 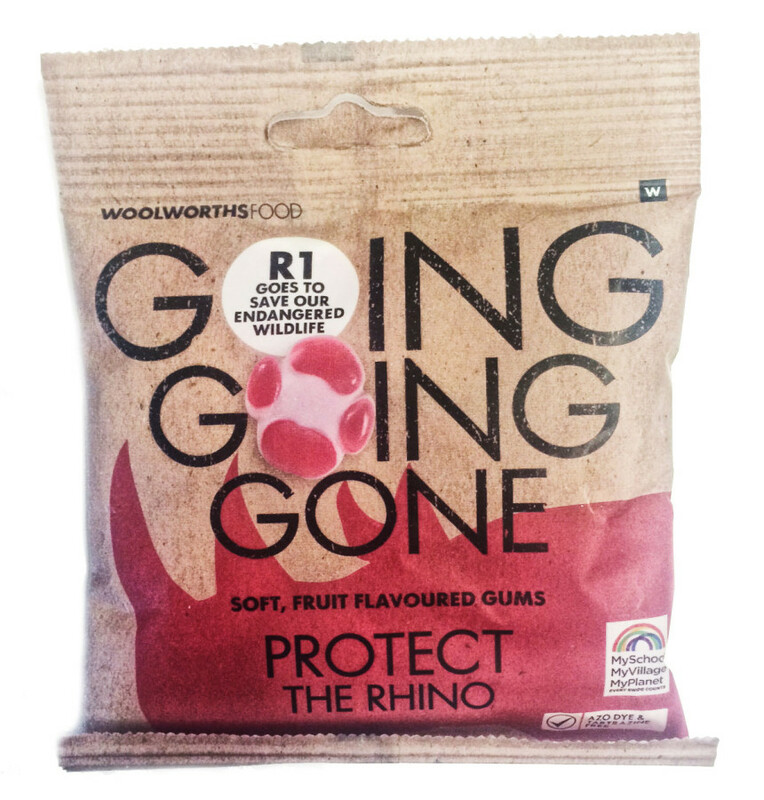 For every pack of ‘Every Paw Print Counts’ Soft Fruit-flavoured Gums sold, R1 will go to protect these endangered animals; for each ‘Every Paw Print Counts’ bracelet R8, and for each reusable ‘Every Paw Print Counts’ shopping bag sold, we’ll donate R10. You’ll find our ‘Every Paw Print Counts’ products at selected Woolies throughout South Africa and online at www.woolworths.co.za. If you’d like to do even more for threatened species, you can get a MyPlanet card by applying at any Woolworths store or online at www.myplanet.co.za. Then, every time you swipe your card at Woolworths or other MySchool partners, a donation will go to the organisation/s you choose (you’re allowed up to three beneficiaries) without any cost to you. If you’re already a MySchool MyVillage MyPlanet supporter, you can add or change your beneficiary by calling MySchool on 0860 100 445. You can also link your MySchool card number to any Woolies card to ensure that you give back every time you shop at Woolies. Remember, every swipe – and every paw print – counts! MySchool MyVillage MyPlanet is a South African fundraising programme that raises and delivers essential funding for schools, welfare organisations and charities with the aim of improving education, social development and the environment. Members do not incur any costs. The store or partner makes a donation of up to 10% of a member’s overall purchase towards their beneficiary/ies of choice – on their behalf. As a member it is possible to nominate up to 3 beneficiaries (schools or charities) on a card. The donation made to the beneficiaries by the store or partner is then shared equally amongst each. MyVillage beneficiaries are charities that provide upliftment to communities and individuals in various ways other than the education school environment, such as orphanages, SOS Children’s Villages, CHOC and the National Hospice, or NSRI. MyPlanet beneficiaries are organisations that focus on the improvement and protection of the environment and animals, such as The Society of Animals in Distress, Endangered Wildlife Trust, SPCA and Birdlife SA. To become a supporter, simply register by completing the online application form (www.myschool.co.za ) or call the Client Service Centre on 0860 100 445 (Monday to Friday, between 08:00 and 17:00), or visit a Woolworths store and get a card from the Customer Service desk.